How is a color defined? With the colors of red, green and blue, of course. With mixing these colors, you can get every other color. 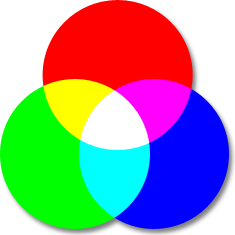 But have you ever tried to manipulate a RGB color, for example lighten or darken? You need to change every RGB value in relation to the other values. 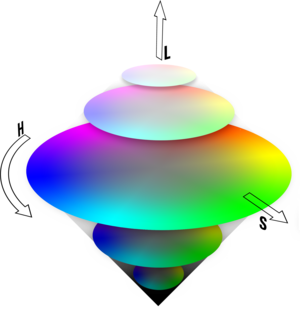 The HSL colorspace wich much simpler to use. H stands for Hue(0-360°), S is Saturation (0%-100%, 0=Gray, 100=full color) and L is Lightness(0=black, 50% is the base color and 100% is white). And the bes is: you can use HSL colors in every modern browser! Instead of using #RRGGBB or rgb(R, G, B) you can write hsl(H, S%, L%). For example hsl(0, 100%, 50%) is red. At http://colorizer.org there is a colorpicker, wich can also show, change and convert RGB, HSL, HSB, HEX und CMYK values.